Trevor Wright is a Certified Personal Trainer through the National Strength and Conditioning Association (NSCA) and a Certified Strength & Conditioning Specialist through the National Strength & Conditioning Association. After spending the spring of 2017 as an intern at Rosencutter Ultra Fitness and Performance he joined the team in June 2017 as one of the coaches at RUFP-Tosa. Trevor attended UW-Milwaukee where he received a Bachelors of Science in Kinesiology with an emphasis on performance. 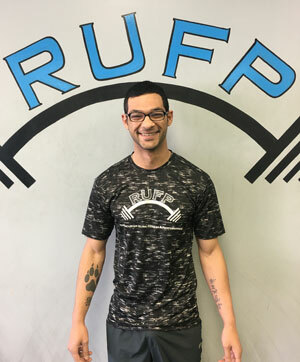 During his time at RUFP, Trevor has gained extensive experience in movement pattern development, PRI techniques, and training for fat loss. His passion for strength & conditioning was developed through his own training and seeing the benefits that it can bring the individuals he works with. Trevor is also coined as the coach who can bring the absolute best out of anyone due to his attention to detail and positivity. In his spare time, Trevor enjoys training MMA and long walks on relatively short beaches.